McLaren Automotive will return to the International Geneva Motor Show this year with its fastest, most engaging, best equipped and most beautiful series-production supercar yet. 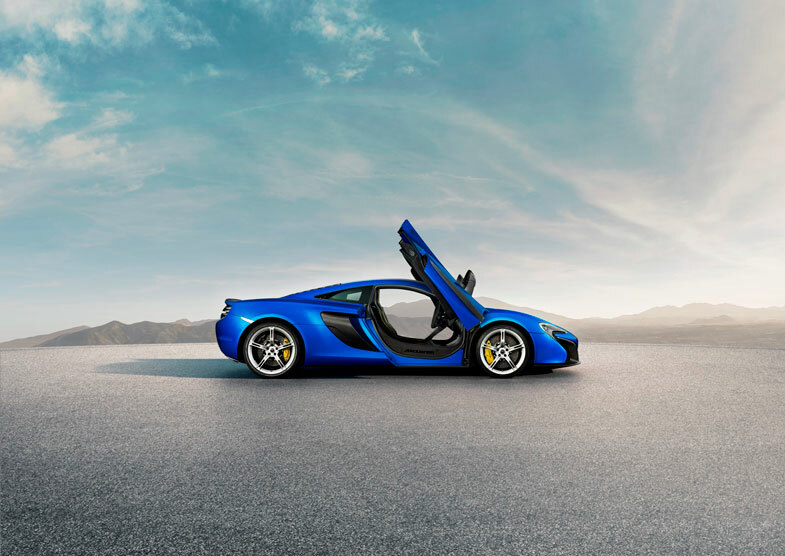 The McLaren 650S joins the range as an additional model alongside the 12C and sold-out McLaren P1™, and learns from both models as well as 50 years of competing in the highest levels of motorsport. Available as a fixed-head coupé or as a Spider, with a retractable folding hard top, the McLaren 650S promises to redefine the high performance supercar segment, and has been designed and developed to provide the ultimate in driver engagement on the road and on the race track. The 650S badge designation refers to the power output – 650PS (641 bhp), – of the unique British-built McLaren M838T twin turbo V8 engine. ‘S’ stands for ‘Sport’, underlining the focus and developments made to handling, transmission, drivability and engagement. Performance figures will be confirmed ahead of the Geneva Show but will improve on the already rapid 12C which continues on sale. The design is inspired by the McLaren P1™, previewing a new family design language. The front bumper gives the McLaren 650S a dramatic, yet clean appearance and sits below new LED headlamps which reflect a similar look to the McLaren P1™. The more integrated front splitter contributes to increased levels of downforce, giving a greater level of steering feeling and confidence to the driver on turn-in, while also adding to the agility and the car’s handling balance. Unique door blades behind the front wheels direct air from the trailing edges of the front splitter, further benefiting front-end grip and vehicle balance. The aerodynamic performance of the McLaren 650S is as efficient as the 12C, boasting the same drag coefficient figure, yet the air is being worked harder and more efficiently as it flows over, and through, the functional bodywork. At 150 mph, downforce levels are increased by 24 percent. ‘As always with McLaren, the new design is there for good engineering reasons,’says McLaren Automotive CEO Mike Flewitt. ‘The newly designed front bumper improves downforce and steering turn-in. The high speed handling balance is now even better. The LED lights use less power and last longer. Unique side intakes behind the dihedral doors feed large, efficiently packaged, radiators which help provide the cooling requirements of the mid-mounted, compact engine. A new design five-spoke lightweight forged ‘650S’ alloy wheel is unique to the model, and are fitted with Pirelli P Zero™ Corsa tyres to offer optimised roadholding, handling and driver feedback – the bespoke ‘MC1’ branded tyres have been developed alongside the McLaren 650S by McLaren technology partner Pirelli, and offer strong performance in normal road conditions and on track. The McLaren 650S builds on experience from success on the track, and groundbreaking technologies fitted to other McLaren models. Active aerodynamics, which feature on both the 12C and McLaren P1™, have been further developed and honed to ensure the ultimate performance and ability for the McLaren 650S. The McLaren Airbrake, originally fitted to the 12C and 12C Spider and designed to offer optimised levels of downforce on the rear of the car, now operates with a greater level of functionality providing increased stability. The newly developed system means the Airbrake deploys whenever the car senses extra downforce is advisable – rather than simply under braking or when manually operated in ‘Aero’ mode. Below the Airbrake, a distinctive rear three-piece bumper, similar to the GT3 racing version of the 12C, compliments the aerodynamic shaping of the McLaren 650S. The pioneering ProActive Chassis Control (PCC) suspension system, developed by McLaren, has been further enhanced for the McLaren 650S. A feature of the system is the ability to adjust the ride and handling modes – Normal / Sport / Track – in isolation from the drivetrain, which gives complete freedom in terms of ride and handling. These settings, for both powertrain and suspension, have been recalibrated to improve driver engagement. The updates are especially noticeable in Sport mode. The McLaren 650S is designed to be the best and most engaging driver’s car in its class, yet it is not a stripped out road racer. Ride comfort and refinement are to executive saloon standards. The McLaren 650S models are equipped with IRIS satellite navigation with Bluetooth telephony, DAB digital radio (SIRIUS satellite radio in North America), wireless tethering, audio streaming and voice control as standard, while also offering enhanced levels of optional specification than previously offered. Options include fixed-back carbon racing seats, based on the lightweight design found in the McLaren P1™, an electric steering column adjustment assisting ingress and egress, a rear parking camera and extended carbon fibre throughout the interior. 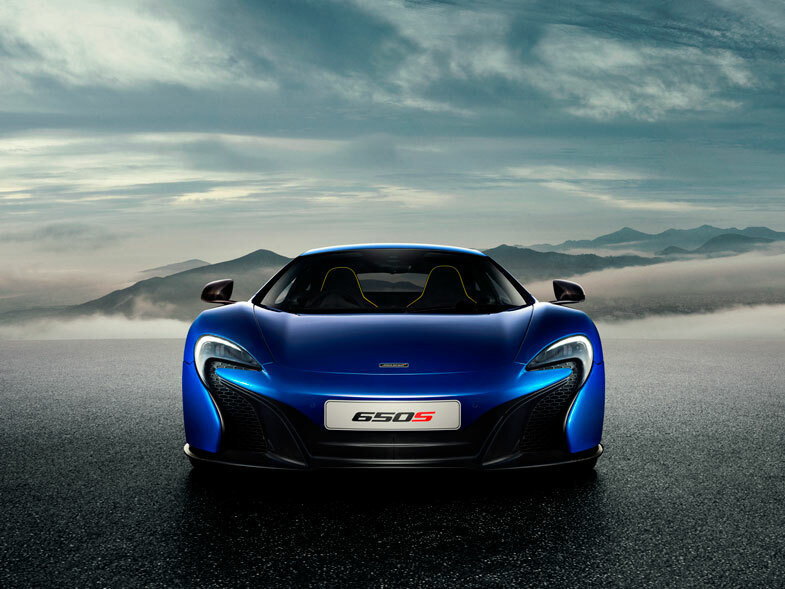 The global reveal of the McLaren 650S Coupéand Spider will take place on Stand 1240, Hall 1 at 12.00CET (11.00GMT) on Tuesday, 4 March 2014 at the 84th International Geneva Motor Show.